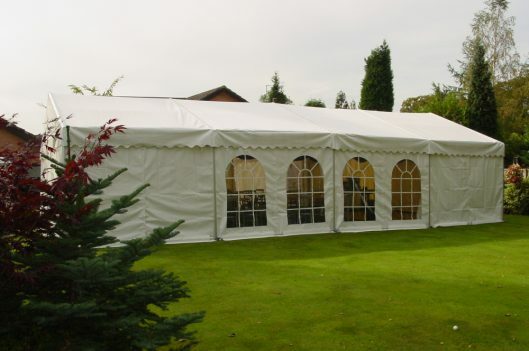 We provide a comprehensive marquee hire service for every occasion. 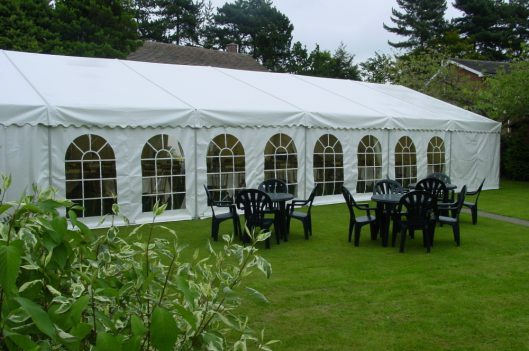 From garden parties to wedding marquees, anniversaries, christenings, corporate promotions and sporting events. 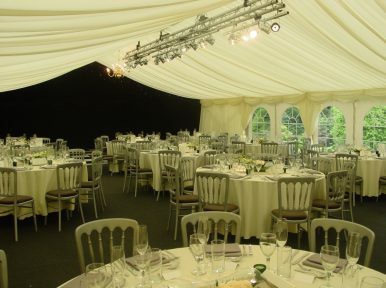 In addition we offer a full furniture and catering equipment hire service. 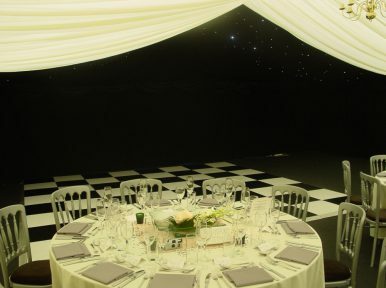 Options for your marquee can include: dance floors, staging, lighting and heating. You can have the setting as simple or luxurious as you wish. 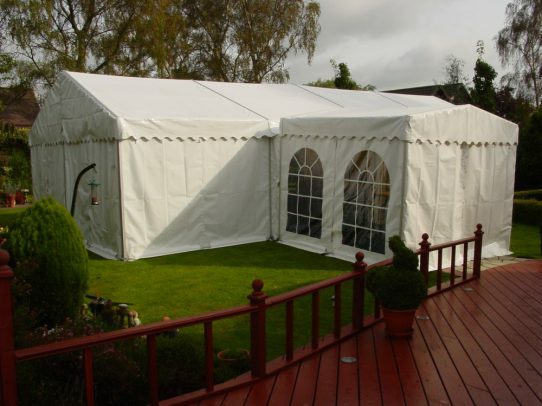 To the basic marquee we can add an interior lining to which we add a colour trim border. This will compliment your own colour scheme. 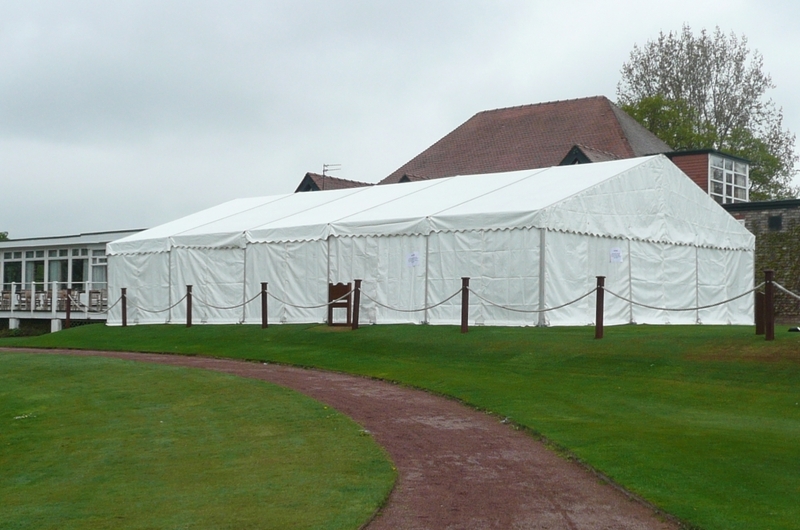 Our modern styled marquees have canopies and walls of heavy duty, flame retardant PVC on a clearspan aluminium framework. 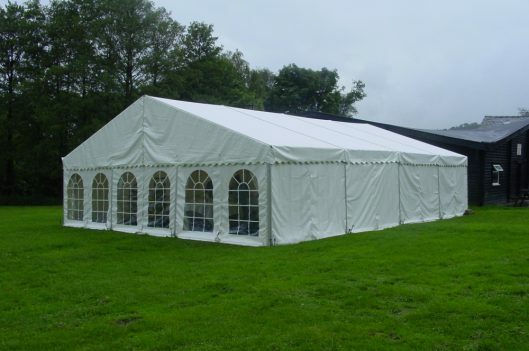 There are no guy ropes so the units can be placed close to walls and our marquees are ideal for use on grass or hardstanding. 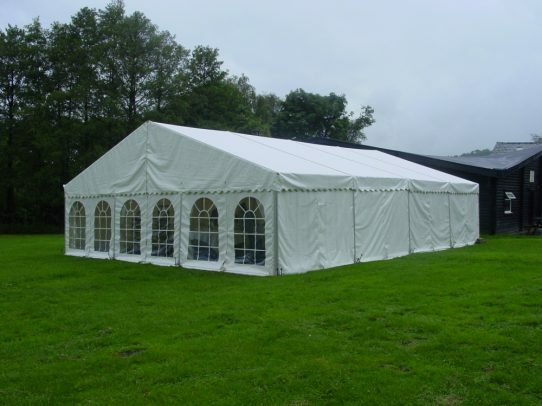 For further details and hire please contact us for out marquee information details and free site inspection. For information, further assistance, or to organise a free site visit please contact us. If you have any questions we are happy to help. Please call 0161 494 5213, email us or fill out our form here. 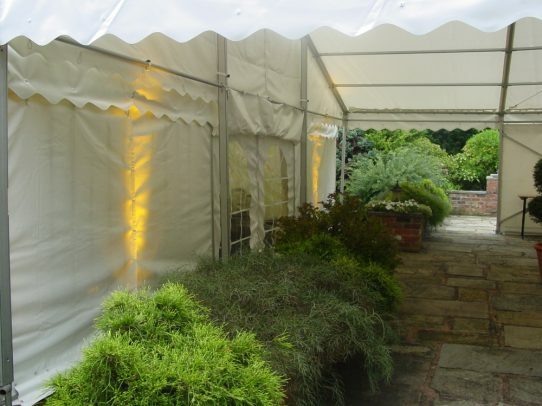 Trying to organise a garden party, corporate event or wedding we can help. 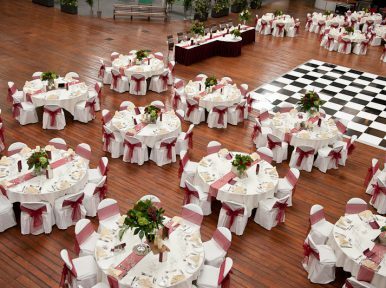 To see our latest events and up to date equipment to give you a few ideas please view our gallery. If you require any further information about the equipment on our website and would like a quote for your event, we can send you our price list and brochure by email or post. Please fill out our contact form with your information. If you are looking to purchase any catering equipment or furniture please contact us. From a toaster to a 6′ round table we can supply it. 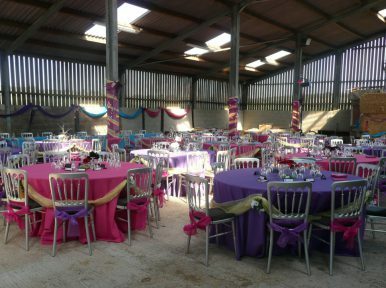 If you are planning an event please contact us for a quote, We offer a free site visits to discuss your requirements and offer competitively priced hire packages. 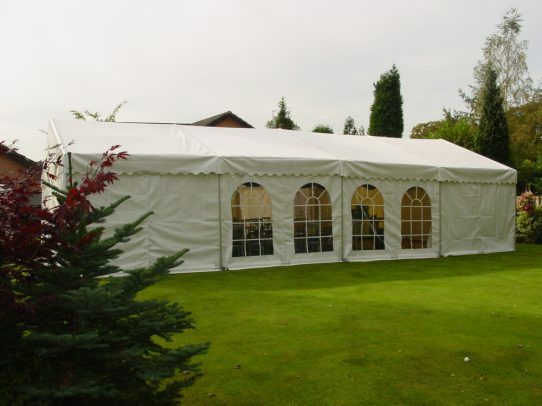 Please enquire about our new range of Party Tents on hire. 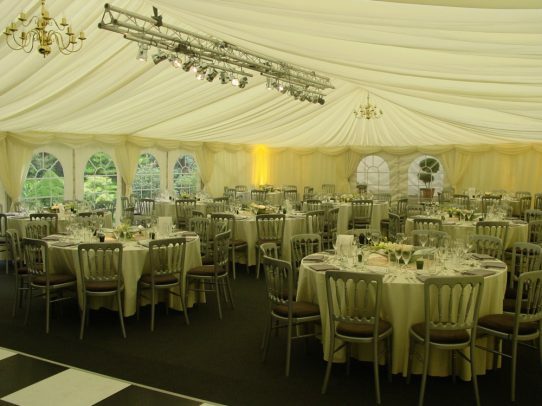 We provide a comprehensive range of tables, chairs, staging, dance floors and display screens. © 2019 Event Hire Ltd.